When filling out your credit card information, please click "opt in" to share your mailing address with us. We will provide the filmmaker with notice of your gift. Send your contribution by check made out to "The National Center for Jewish Film." Include "The Neighbor Within" in the memo line. Call 781-736-8600 Monday through Friday from 9am-5pm EST with your Visa or Mastercard. I came upon Fossoli Concentration Camp years ago, one of many Italian Concentration Camps that have been removed from our collective consciousness, and from the general knowledge of history. 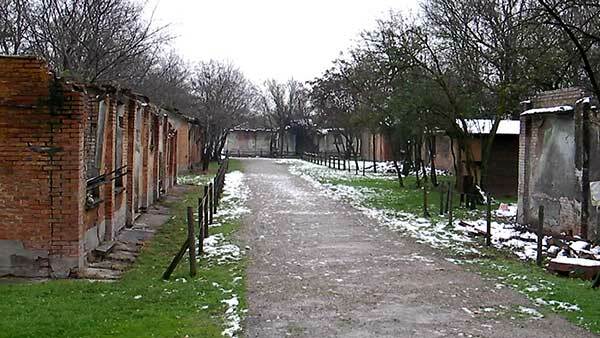 Fossoli is the Camp described by Primo Levi in the first few pages of his renowned book If This Is A Man. 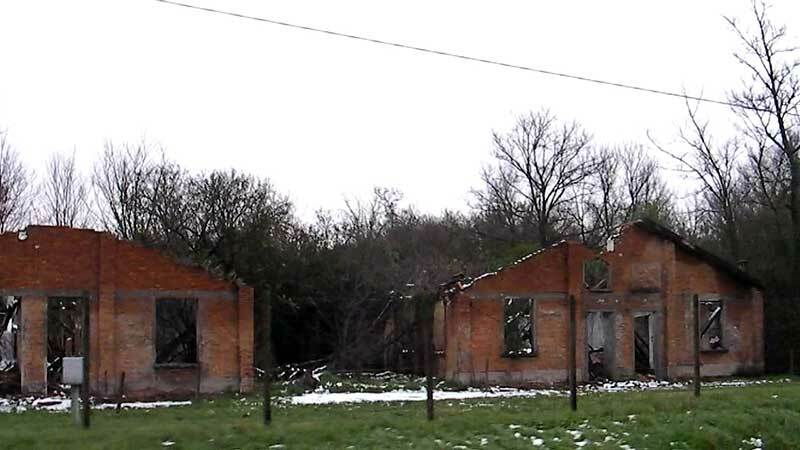 The Camp is located on a small country road, out of sight from main streets and traffic – a perfect metaphor to its hidden history and Italy’s role in the Shoah. Its haunting, crumbling remaining structures left an unsettling and disturbing impression on me, prompting me to develop this film project and share it with the world. Since the end of World War II, Italy has experienced a massive revision of history in terms of its alliance with Nazi Germany, and its crimes against nations and peoples, and its Jewish population. Under the auspices of the Nazi-Fascist alliance, Italy willingly codified the Racial Laws of 1938 that stripped Jews of civil rights, and thus their livelihood. And it didn’t end there. The eleven Concentration Camps built and run in Italy and her territories were either a first stop for Jews in the journey to Camps abroad (namely Auschwitz), or the last place they saw alive. The Italian Camps were where survivors say they understood that there was nothing more they could do, that there would be no escape. The culpability for the persecution of Jews remains unacknowledged by many Italians, a fact still lamented today by Italian Jewish communities. This revisionism of Italy’s role in WWII in regard to its part in the Shoah, according to adjunct professor at the University of Pisa Guri Schwarz, is largely due to the comparison with the “horrors” of the Nazi Germany. This has left those in Italian Jewish communities struggling to keep their history of persecution in the minds of their families, and of the public in general. And their memories at times run completely contrary to the official narrative now prevalent in Italian society that adheres to Italian “victimization and persecution” by the Nazis. This massive undertaking will represent a serious challenge to bring forth the history of the Camps, and it will be the first to place their existence, as well as the suffering and deaths of countless Jews, within a documentary film medium. The findings and final product will be shared and outreached (lectures, screenings, exhibitions) with various organizations and museums in the US, Israel and Europe. Roberto Davide has worked in film for over a decade and a half and entered into film behind-the-camera in collaboration with the British Film Institute (BFI) in distributing his documentary Walking with Pasolini, which earned him recognition as a serious filmmaker in the UK. As well, Roberto has a BA in Russian and Italian literature having studied in Rome, Moscow and New York, and a Masters in International Affairs and Economic from Johns Hopkins University. He is a candidate for a PhD thesis on Containment Democracy: The Cold War, the Strategy of Tension, and the Critical Theory of Pier Paolo Pasolini. His mission is to make wholesome and penetrative projects that will fully engage and challenge the audience. A critical approach to filmmaking brought him to challenge the narrative of Italy’s role in WWII. A New York City native, Roberto is a bilingual, dual US-Italy citizen. He currently resides between London and New York.